It was a new morning, the birds had not started to chirp but the morning made sense. It was going to be my first trip of 2017. 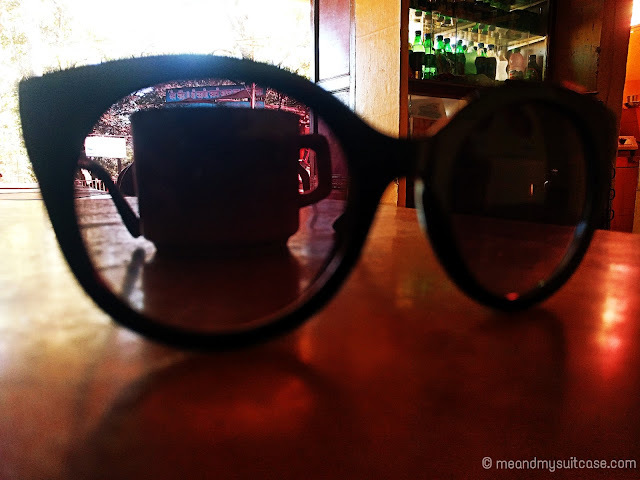 I started early morning from my house at 5.30 am and reached Neral around 08:30 hrs. Looking forward to my first toy train journey, my two pals and I reached the station but to our dismay the trains were not running due to technical issues. 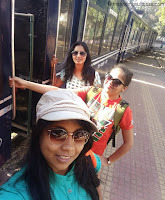 Nonetheless, we clicked some pictures with the train which was standing still on the tracks without engine. My spirits were already high as I could make the first trip of 2017 happen after 3 cancelled trips. We took a taxi from Neral to Matheran and reached the Matheran parking by around 10:00 hrs. 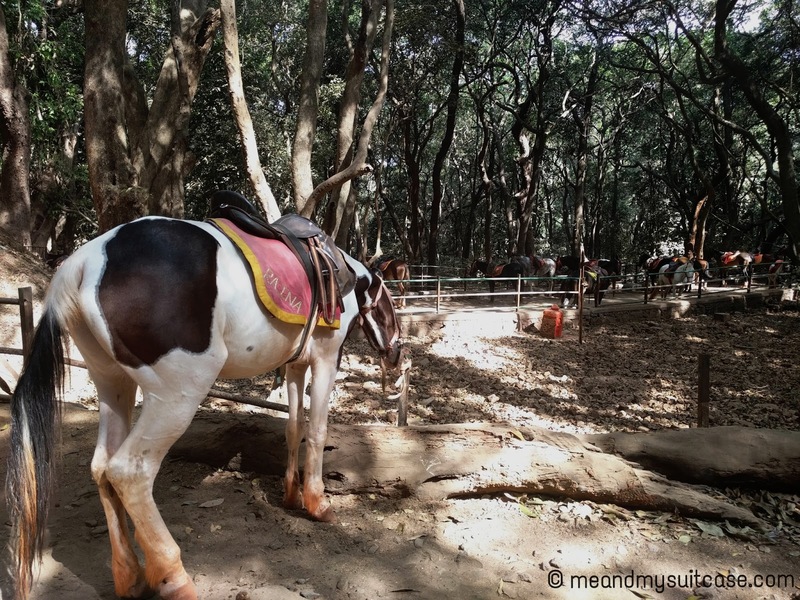 Since Matheran is a non-vehicle zone, you have to move on your foot or hire a horse to venture ahead inside the beautiful hill station. 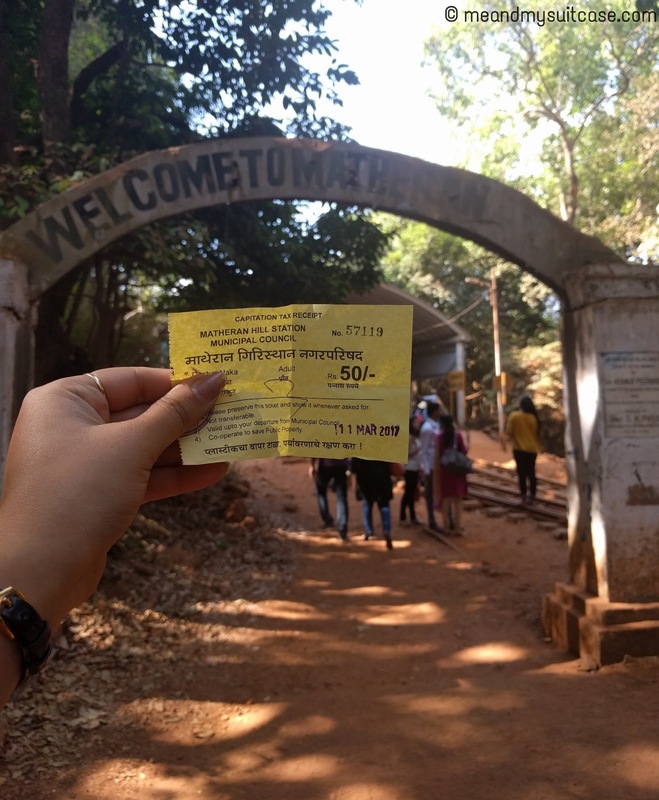 We bought the stay ticket worth Rs.50 per adult at the counter of Matheran Hill Station Municipal Council from where the Matheran Hill Station starts. 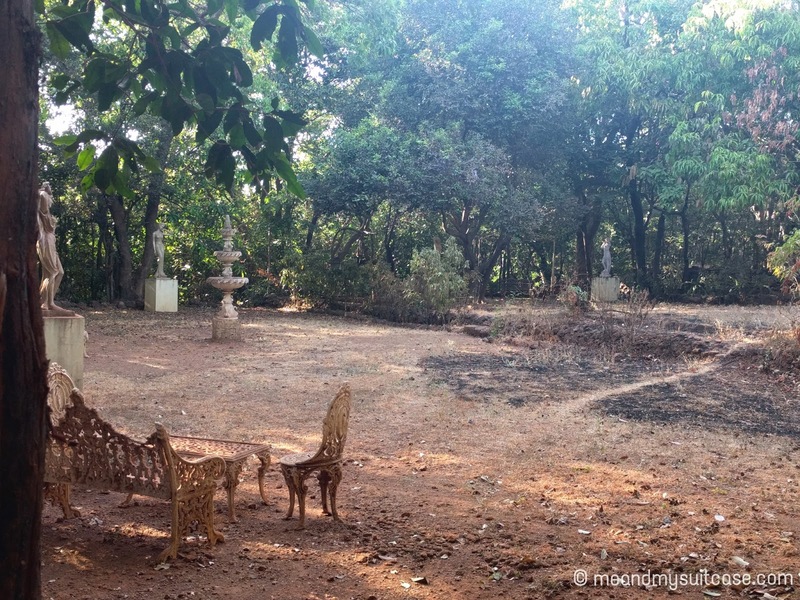 At the very entrance is the MTDC Resort, which we did not choose for stay as its too far from centre of Matheran. But you can still choose it as an option since its very affordable. After walking for almost an hour searching for a hotel, we finally got one with mountain view towards East which means we could enjoy sunrise from our room itself. 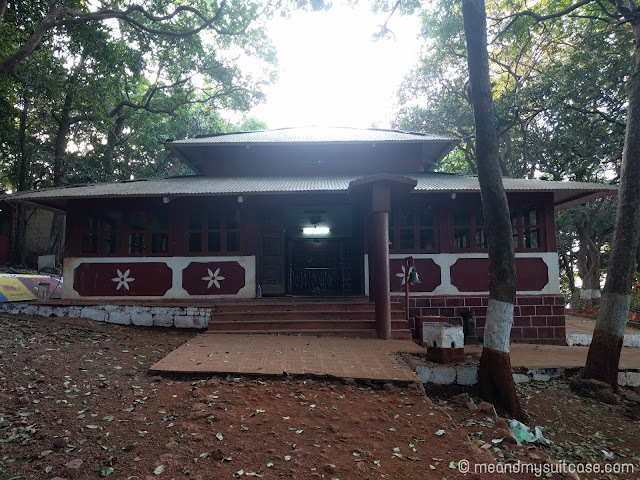 We checked in to Hiral residency around 12 noon, the room was basic but spacious which I will sure recommend to anyone going to Matheran. Hiral residency is in the market area and 20 min from the famous Charolett Lake, the most beautiful and serene spot on Matheran according to me. We after a good lunch followed by 2 hrs of rest left to explore Matheran on foot at around 15:00 hrs. Our first pit stop was Khandala Point which to some extent soured our excitement [I would rather suggest give it a miss and head straight to some other point]. Later, after a cup of tea we walked straight towards the Lake. The way to the lake is through a dense forest. It's serene and beautiful. 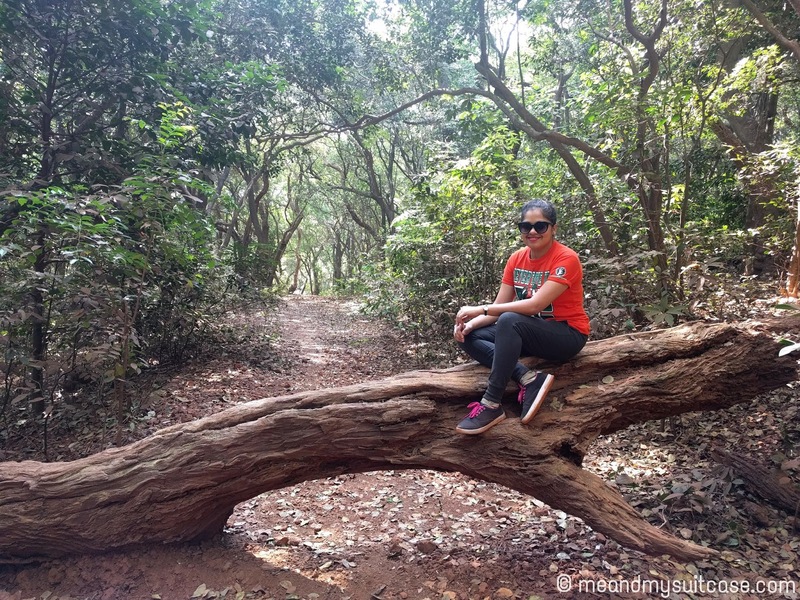 20 min became more than an hour courtesy clicking lot of pictures and enjoying the scenic view. We also spotted a huge white mansion on the way without a trace of any being and that looked nothing less than a haunted property. The sculptures from the gates to the mansion and some English furniture in the barren garden plus the work on main gates, everything was oozing out a sense of dread and fear. I did take a few shots. 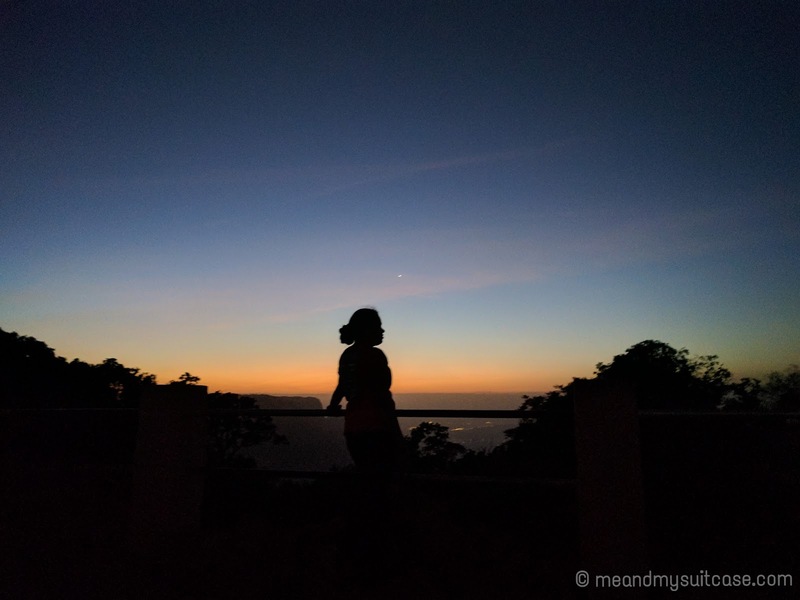 After walking some more, we spotted a beautiful sunset point which is 300 metres before the lake and is known as Cecil Point. It was already 17:00 hrs and the view was dramatic, sky was yellow and mountains appeared black. 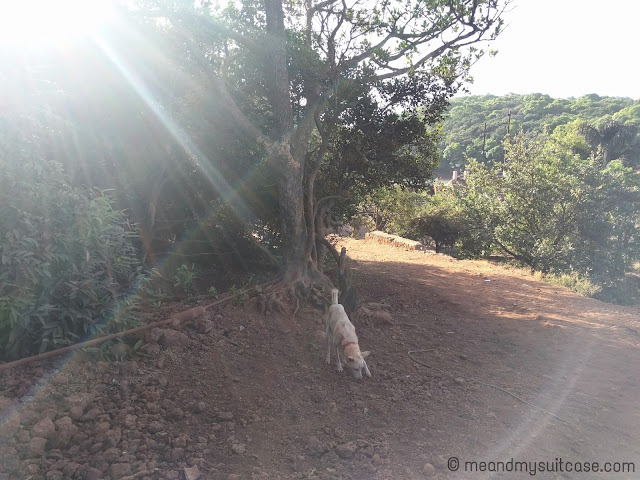 After savouring the beauty of sky for a few moments and getting drenched in the beautiful rays of sun just before the sunset, we headed towards the lake. 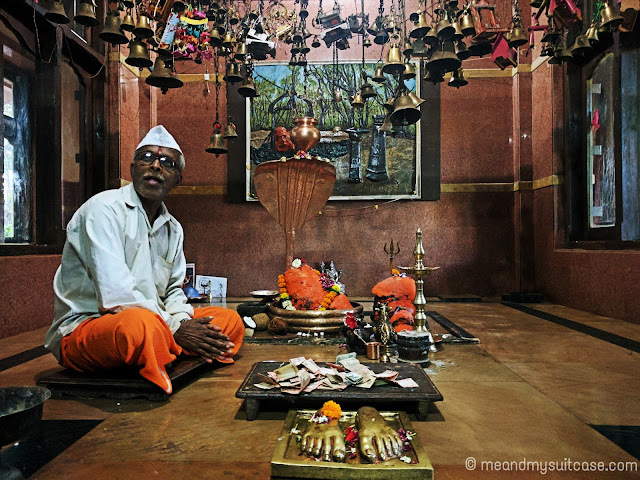 There is a temple dedicated to Lord Shiva "Pisharnath temple" on the banks of Lake. Its architecture resembles the temples of Buddhists and Hindus in mountain regions. The time spent at the temple was amazing and very peaceful. Right outside the temple are a few eateries which offer variety of food from poha to maggie, jhunki bhakri and other local dishes, gola and cold drinks as well. The food was scrumptious and the setting stupefying. 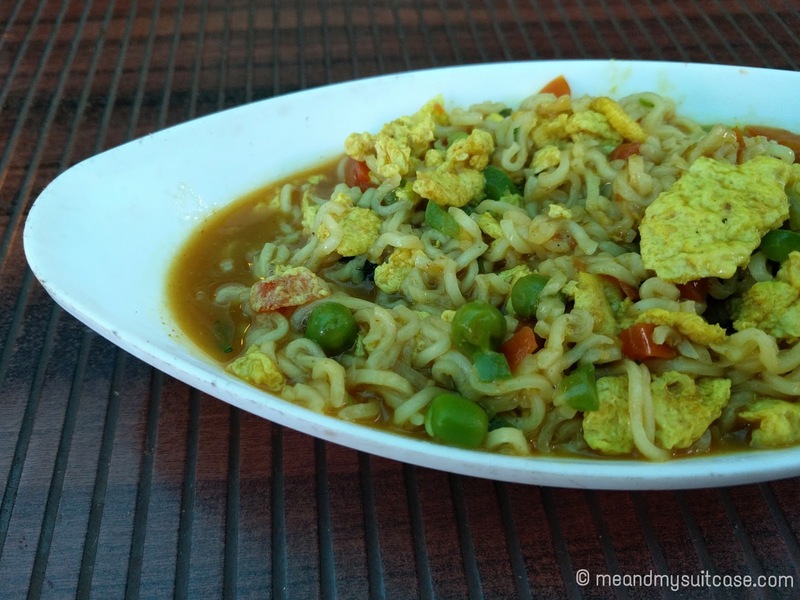 You can not take any food item near lake but can enjoy the view from these eateries. Just beware of monkeys, they are in abundance. 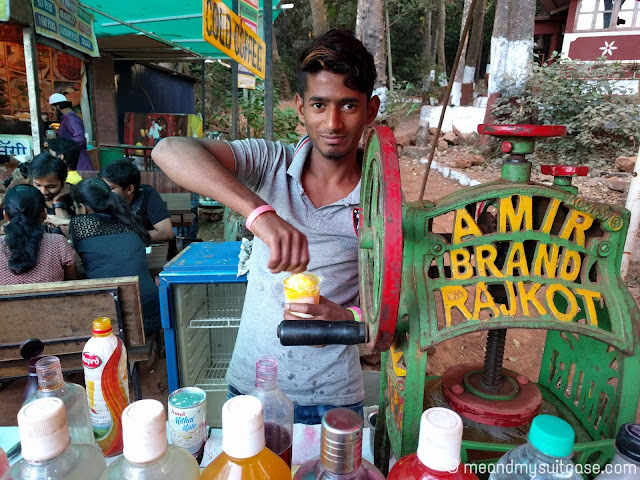 We started our food trail with the yummy creamy gola made using Milk-made and Hershey's chocolate. The guy who made my gola! After some pet pooja, which was not to serve hunger but to serve our tantalizing tongue, we headed to the lake. It was a jaw dropping view. Already dusk, the moon was high and since it was a day before full moon, the moon looked huge. 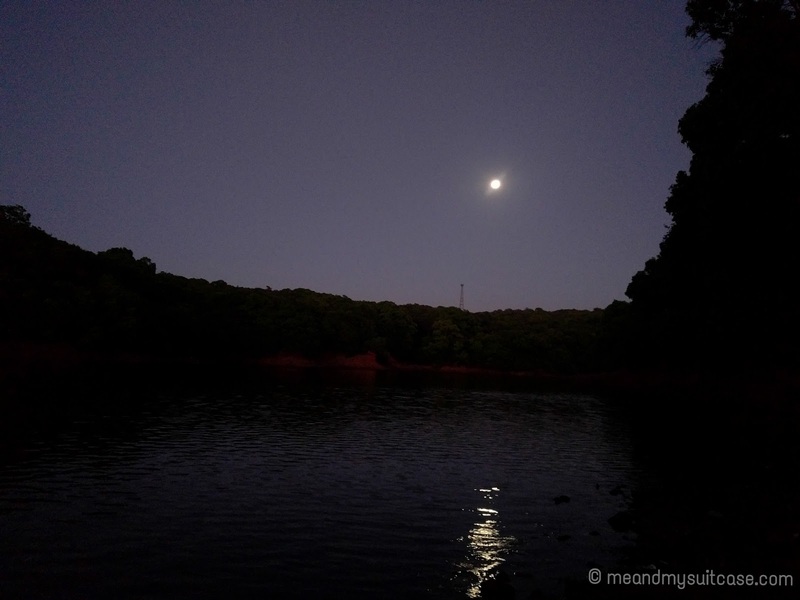 The blue water was sparkling with the moon light, trees were appearing little darker than green and atmosphere was quite. The beauty was quite overwhelming. We did not realize that it was already dark. As they say, Never venture in woods after dark. 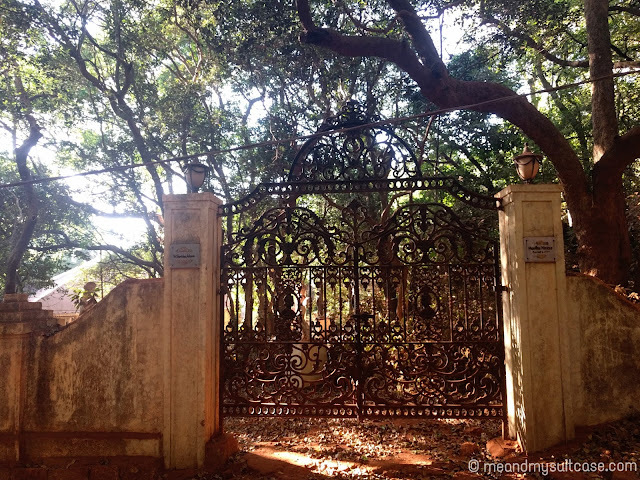 The flashes of the haunted house we spotted in the evening and the dreadful scenes from all the horror movies I had ever seen started flashing in my mind. My imagination had already started doing its work. The eateries were still open and a handful of people were still around. We inquired for the way back to the market area from one of the owners and walked as fast as we could. Most of the way was without light and through the dense forest. Three of us held hands and without stopping or looking back we kept walking. 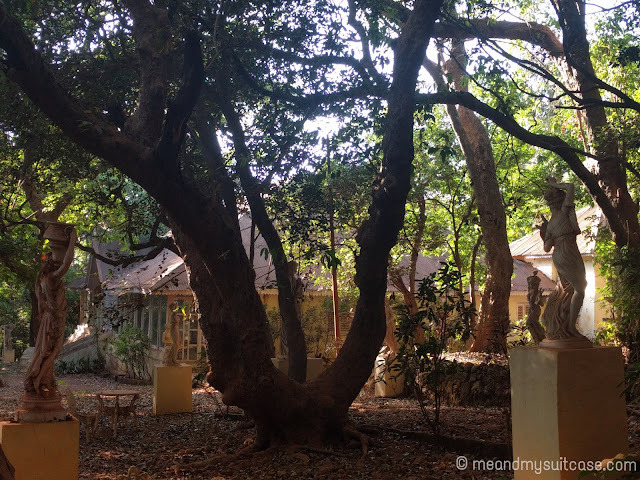 Dumbledore had said in Harry Potter and the Sorcerer's Stone (Chapter 7), “First years should note that the forest on the grounds is forbidden to all pupils. And a few of our older students would do well to remember that as well.” His words kept ringing in my mind. Yes, the surroundings did feel like we were in the Forbidden Forest. 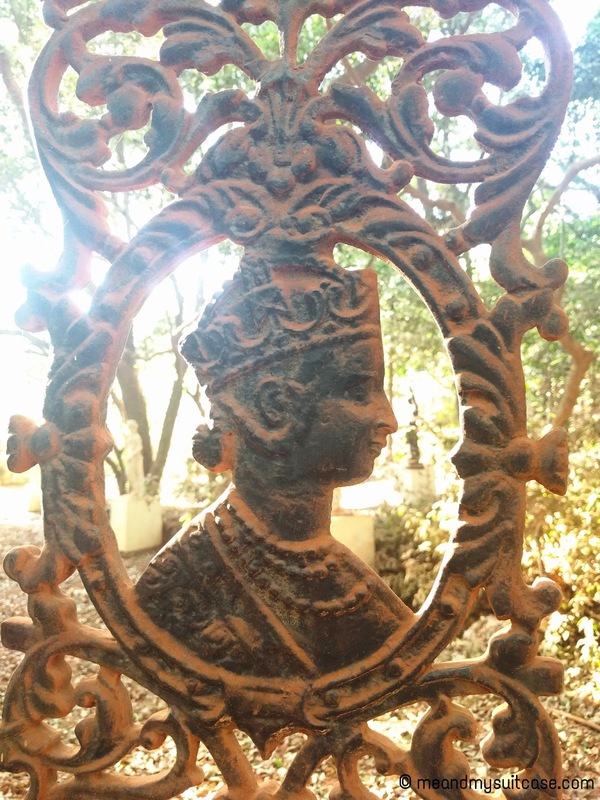 As haunted it look, there were some picture perfect things but I couldn't gather courage to stop and take a few clicks. We just kept walking. Needless to mention, all the time on our way back I felt as if someone was walking along with us, I could hear an extra pair of steps which did not stop until we crossed the woods. You may or may not believe but that's the fact. After coming out of the forest I checked the time, it took us just 10 min to come out which felt the longest. It was an adventure in itself which I had not anticipated. The ambient forest by the day was at contrast by night, it felt and sounded spooky. 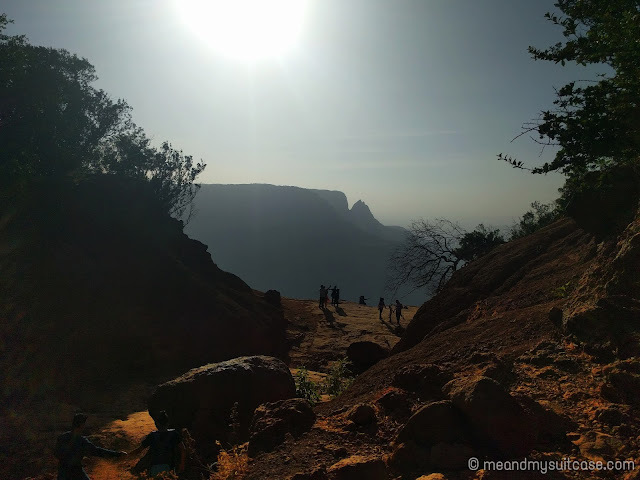 One great thing was that I wasn't acquainted with the ghost stories and spooky experiences, some people have had in Matheran until my sister told me when I shared my experience with my family after coming back from the trip. Day 1 had ended on a good note, we were out safe. We had a hearty meal and ventured in the market for some time. 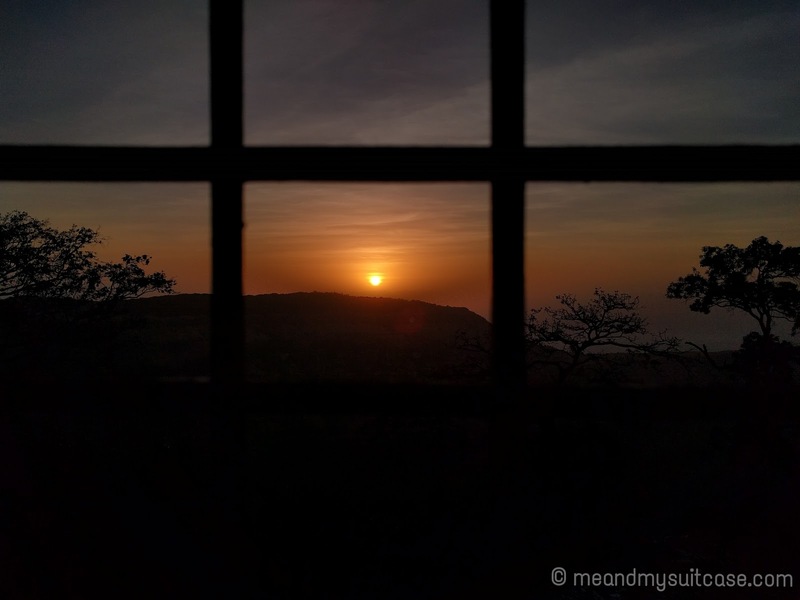 Matheran does not sleep until 2300 hrs at least. Many shops were open and people were wandering on the road enjoying the weather. We slept late but promised to wake up early to witness sun breaking in the sky. It was a beautiful sight in the morning, sun rose from behind the mountains making for a perfect sight. We left soon from the hotel once again to the Lake. There are many points but almost all have the same feel so we thought that we will spend the time by the lake. We had one more experience on our way to the lake. After sometime of walking we felt that we ain't on the right way, soon we saw a horse rider we asked him for the way and started following him. He disappeared soon and we once again got confused. On the way we met a dog which initially was following us but soon started to walk ahead of us, as if showing us the right way. It kept walking with us till we reached the lake and without uttering a word, disappeared. It was another odd experience in less than 24 hours. 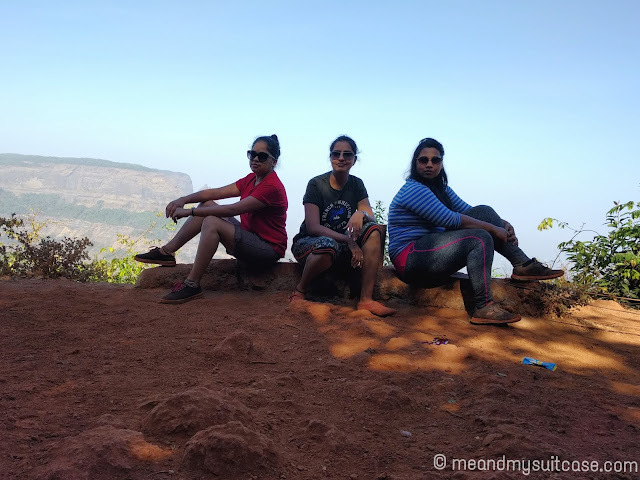 After reaching there we had tea and poha and went to visit Lord's point first which is only 200 metre away from the lake. The view from here is breathtaking and using binoculars or telescope one can easily spot a few places of importance. I took a chance and clicked those spots using the telescope eyepiece. After spending some time there, we came back to the lake and had some more food. 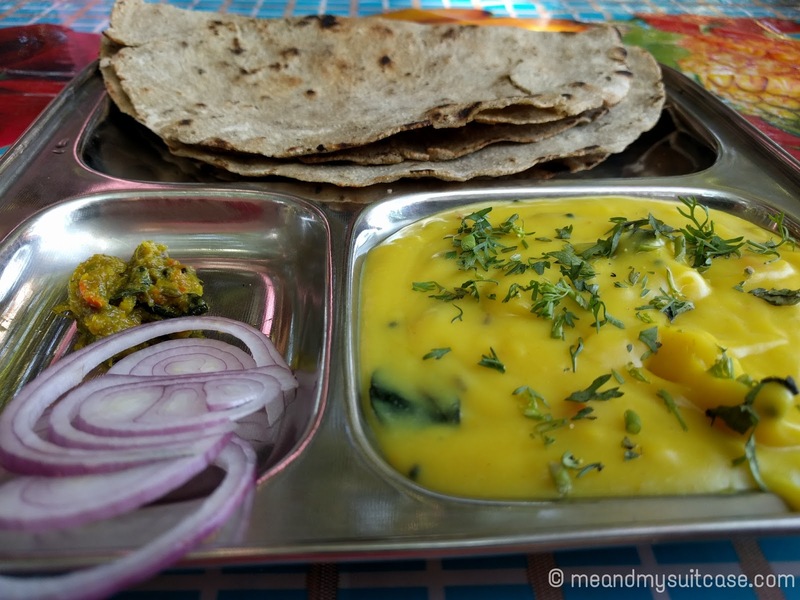 We indulged in some maggie followed by a local dish, Jhunki Bhakri. It was purely amazing, a foreigner family was sitting next to our table and we suggested them to have it too and they loved it. We then sat by the lake for some time but changed our sitting location 3 times, courtesy Monkeys. One of them was quite notorious and I could see from far how it was attacking visitors by pulling their hair and clothes. We left soon, and came back to the hotel and checked out. We went out for some shopping and left after brunch towards the car parking. 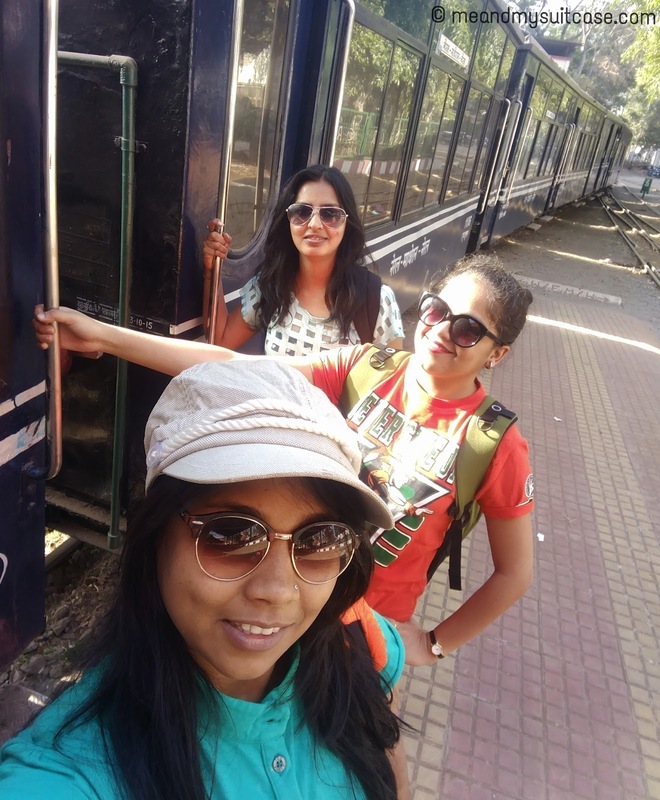 We reached Neral station at around 16:00 hrs and then took the train to Mumbai, packed with us beautiful memories and spooky experiences of Matheran. 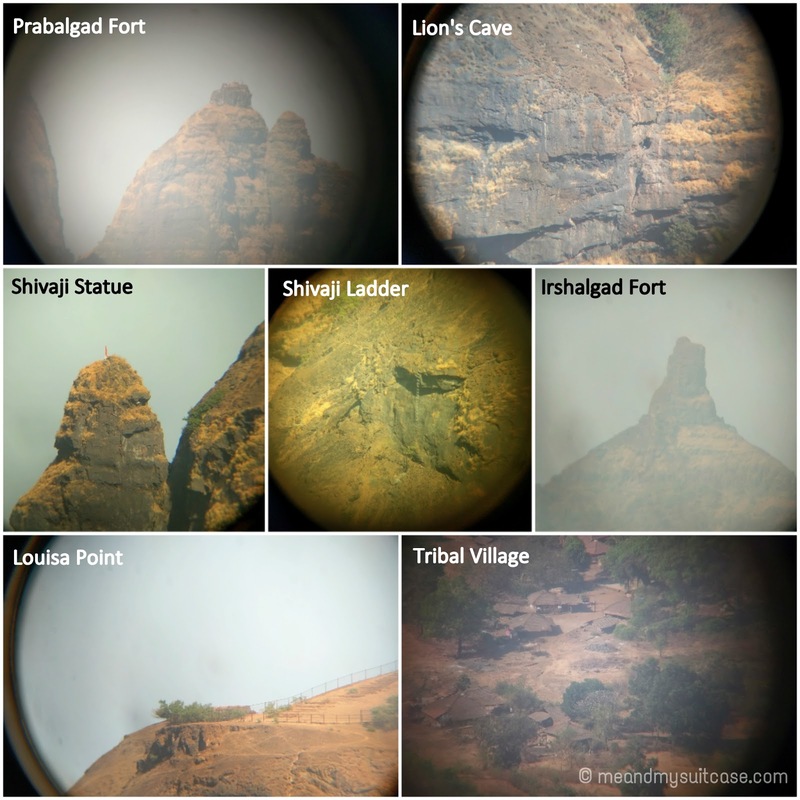 * >> Contact Mr Vaibhav Parab who can arrange a telescope for you to have a closer view of few locations. His contact no. is 7758806415. Don't wander in woods after dark. Don't go in heels or sandles, wear sports shoes / sneakers which also covers your feet. 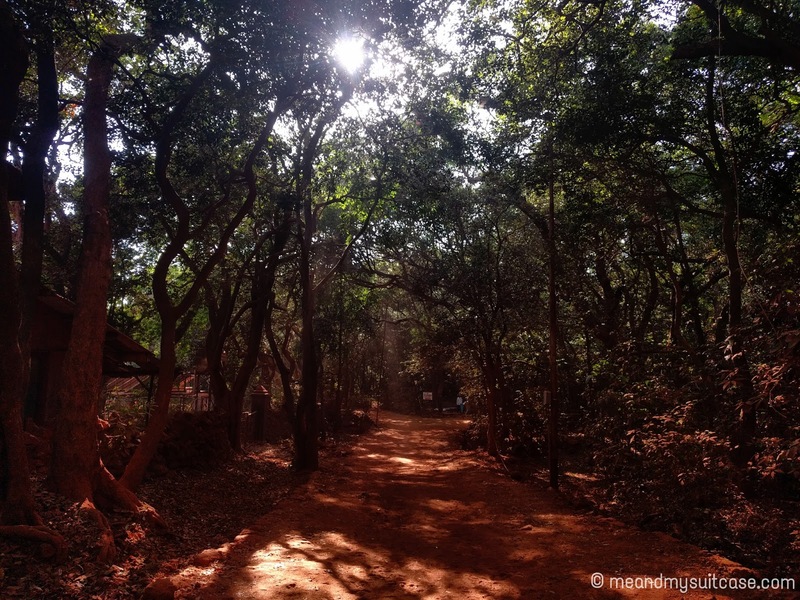 Be prepared to walk in red sand. If you want to buy something do bring home the famous jelly chocolates, the leather products like purses, bags, belts and shoes which are famous here and quite reasonable. Read more on "Shopping in Matheran" here. For a ready chart on places of interest and other hotels' location, click here. Heyy! 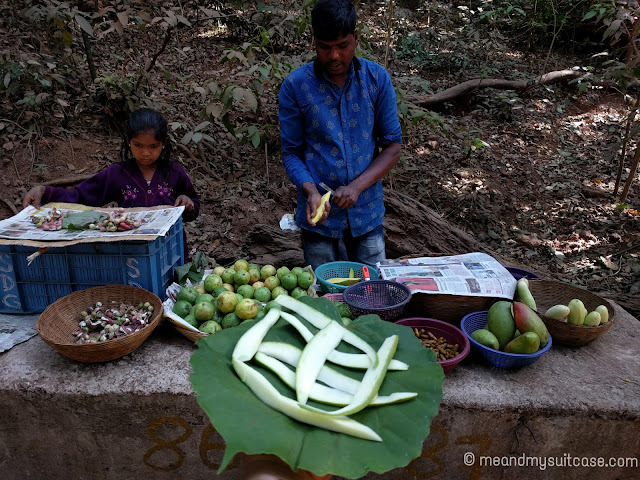 Don't forget to have kachcha aam (raw mango) on your walk back to the Matheran Parking! All pictures are taken by me unless otherwise mentioned, hence, copyright protected. Visit pre monsoon somewhere in june or in sept. Such a well written article. It brought back my memories of matheran. Did you know Yann Martel wrote Life of Pi in Mathern.